The other day, while I was at the mall, I walked into Teavana. Now, to those who know me, this won’t be a surprise, given my love for tea. However, as I chose which tea I wanted for my single cup—although it is not advertised, you can buy single cups at Teavana—I had one question for the woman behind the counter: “Which of your herbal teas do not have artificial flavoring?” She turned to the other worker, clearly not prepared for the question. He said almost immediately that none of Teavana’s teas could ever include artificial flavor. However, because I am an utter tea snob, I research the ingredients in tea before purchasing. Going through Teavana’s blends on their website, I noticed that almost every single one had artificial flavoring. Now, finding the ingredients was difficult, because they were hidden behind a tab that required clicking, and at the time, this link was broken. Artificial flavoring in tea is nothing new, especially in blends filled with upwards of ten ingredients. One of my favorite tea blends (David’s Tea) contains artificial flavoring. However, unlike Teavana, David’s addresses artificial flavoring in its Frequently Asked Questions, and makes it clear to shoppers on their website which teas have this flavoring. In addition, they offer blends with natural flavoring, or no extra flavoring at all. Dried fruit and artificial flavors cost far less than tea itself, and in large complex blends, Teavana can get away with using less tea to save money. 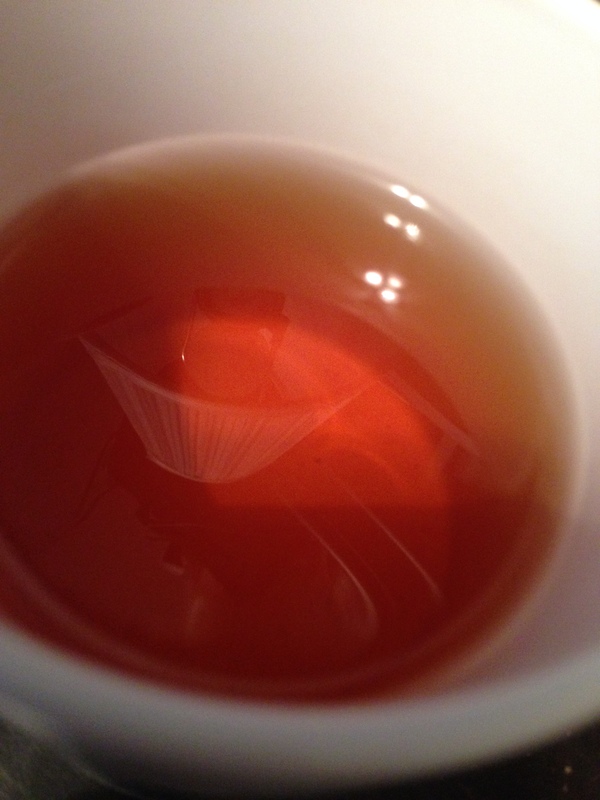 For example, Teavana’s Strawberry Slender Pu’erh is a dollar less per 2 oz. (the smallest quantity Teavana offers) than the plain Pu’erh without additives. Shouldn’t the complicated blend cost more than the tea used in it? The secret to the lower price, of course, is that the blend uses less tea, and many Teavana shoppers are unaware that these blends contain far less tea than flavoring additives. This allows Teavana to continue charging premium prices for tea that costs them less to make. This is, of course, a basic principle of consumer capitalism—sell for as much as the market will bear—but consumers at the very least should be aware of the trade-off. Teavana also advertises health benefits using exaggeration and partial truths. Walk into any Teavana store, and health benefits of tea are thrown in your face, from signs to the salespeople. Tea is incredibly healthy, yes, but Teavana’s method of giving their customers information on the health benefits of their teas is often misleading. Typically, their claims focus on how a certain type of white tea or one specific blend assists with certain aspects of a consumer’s health. This is deceptive, though, as all teas possess antioxidants and can assist with metabolism; Teavana stores, however, only claim these benefits for some of their teas. For example, a majority of the times I talked to employees in the store, with the exception being cases during which employees knew me from past experiences, employees insinuate that only white tea contains antioxidants or only oolong boosts metabolism, but this is certainly not the case. All teas possess similar health benefits, but in different amounts due to differing quantities of fermentation, provided they come from the tea plant and are not a tisane or maté (neither of which contain Camellia sinensis, or the tea plant). Studies by Harvard, the University of Maryland, and other universities have proven that this is the case, and it is common knowledge in tea communities. Yet Teavana promises that their pu’erh-and-oolong blend Weight to Go! will cause more weight loss than standard organic pu’erh tea, though it is filled with dried fruits, which are not as healthy as fresh fruit and may contain sulfites: dried fruits often do, and Teavana does not state otherwise; by contrast, Newman’s Own Organics and Eden Foods advertise prominently that their dried fruits are sulfite-free. And as mentioned previously, the skewed tea-to-additives ratio compromises the tea’s health benefits. In addition, Weight to Go! samples in the store automatically include Teavana’s German Rock Sugar (which has 25 calories per teaspoon, over twice as many as standard granulated sugar) and workers automatically suggest it, without ever mentioning that German Rock Sugar is in fact less healthful than standard granulated sugar. Their packaged rock sugar does not contain nutritional facts, nor are any posted on their website, so this information was difficult to dig up (I ended up having to ask an employee and she looked it up in the back for me, because there were no reputable sources) . This is only one of the Teavana teas advertised for its superior health benefits compared to other teas, and many customers who do not fully understand the nature of tea’s health benefits will be unaware that Teavana’s claims are only partially true. Ultimately, my problem with Teavana is not the artificial flavoring or intricate blends. My problem is that they do not make important information clear to their shoppers. Store clerks often cannot tell shoppers the harvest dates (important information, as different flushes of tea have different tastes and tea can go stale) or bud/leaf ratios. While this information may be unnecessary for people who are new to tea, it should be available if a customer requests it. 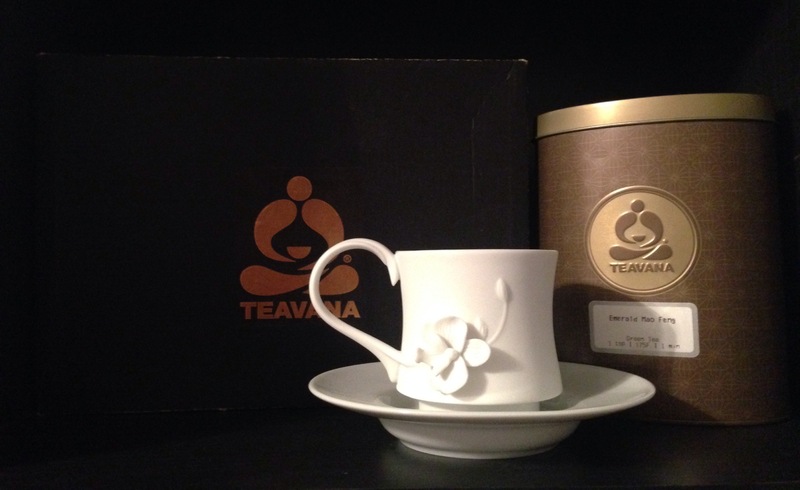 I have definitely had good experiences with Teavana, and as far as tea goes, it is a great starting place, but employees need to have information available and the facts about their products should be accessible online. Tea should not be romanticized and distorted, with facts thrown to the wayside. Very informative and an eye-opener, thank you.